Our BLUE CROSS WRAPPER says it all. 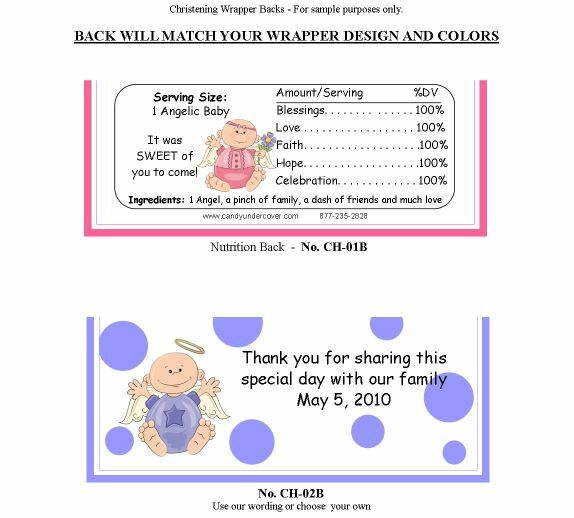 This candy bar wrapper is perfect for your son's Christening or Baptism. Your guests will love this SWEET treat. Chocolate makes the perfect party favor and our Christening candy bars will be the hit of your party!